MINNEAPOLIS – Cooling down the body may reduce brain injury for people in a coma after being revived from cardiac arrest, according to a new guideline developed by the American Academy of Neurology (AAN) and published in the May 10, 2017, online issue of Neurology, the medical journal of the American Academy of Neurology. The guideline recommends that families ask if their loved one qualifies for the procedure. The guideline is endorsed by the Neurocritical Care Society. 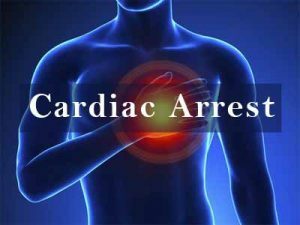 For patients who are comatose in whom the initial cardiac rhythm is either pulseless ventricular tachycardia (VT) or ventricular fibrillation (VF) after out-of-hospital cardiac arrest (OHCA), therapeutic hypothermia (TH; 32–34°C for 24 hours) is highly likely to be effective in improving functional neurologic outcome and survival compared with non-TH and should be offered (Level A). For patients who are comatose in whom the initial cardiac rhythm is either VT/VF or asystole/pulseless electrical activity (PEA) after OHCA, targeted temperature management (36°C for 24 hours, followed by 8 hours of rewarming to 37°C, and temperature maintenance below 37.5°C until 72 hours) is likely as effective as TH and is an acceptable alternative (Level B). For patients who are comatose with an initial rhythm of PEA/asystole, TH possibly improves survival and functional neurologic outcome at discharge vs standard care and may be offered (Level C). Prehospital cooling as an adjunct to TH is highly likely to be ineffective in further improving neurologic outcome and survival and should not be offered (Level A). Other pharmacologic and nonpharmacologic strategies (applied with or without concomitant TH) are also reviewed. HOW hypothermia is to be induced in a post cardiac arrest comatose person ,one should explain that as well .